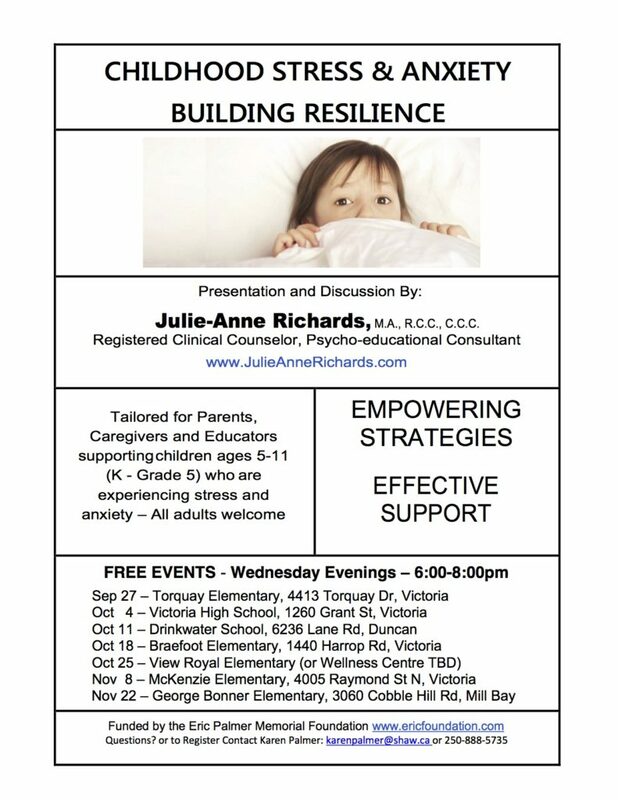 The Eric Palmer Memorial Foundation will provide funding for the well-respected and experienced Motivational Speaker, Julie-Anne Richards (see www.julieannerichards.com), to present her workshop, “Childhood Anxiety: Empowering Strategies and Effective Support” for parents and teachers of children experiencing stress and anxiety in elementary schools on Vancouver Island. Funding for this presentation has been in short supply and generally has only reached parents of children in higher grades, where teens are presenting with more obvious signs of stress and anxiety. 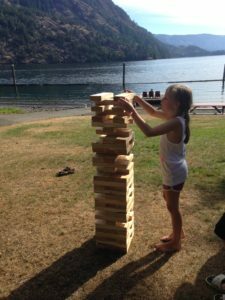 We believe reaching the parents of younger children, kindergarten to grade 5, and providing the skills to recognize and empower children with anxiety earlier, will have exponential benefits. Each presentation will reach approximately 100 parents and teachers. The Speaker’s Fee is paid by the Eric Palmer Memorial Foundation through tax deductible donations. 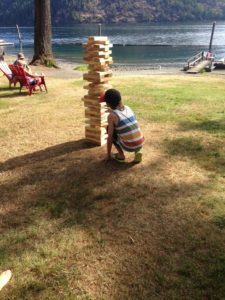 If you are affiliated with an elementary school on Vancouver Island and would like to have the benefit of a presentation for the parents of your school please contact us.